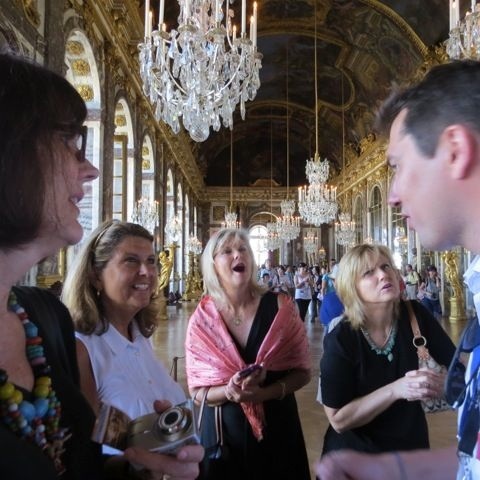 This tour is a combination of the Versailles and Giverny tours which includes the opportunity to have a great lunch in a remarkable location near Claude Monet’s house in Giverny. . Your expert guide will show you some outstanding highlights on this day-trip. The morning will be dedicated to the discovery of the Palace of Versailles and its famous French Gardens. In the afternoon, your guide will take you to Giverny, down the backroads and past ancient villages to discover the world of Impressionism. ♥ Most Favorite It is definitely one of the most suitable and enjoyable tours for families and nature lovers! The experience is fun, educational and relaxing all at the same time. Your licensed english-speaking guide will pick you up from your hotel in Paris in a luxury private vehicle. On the way to Versailles, he will give you a complete introduction to the century of Louis XIV, and the history of the Palace of Versailles, one of the jewels of French architecture. It took around 50 years to build the largest royal residence of the world between 1661 and 1710. Only 12 miles southwest of Paris (approximately a 30 minute drive), you will begin your day with a private visit of the Palace where you will see the Royal Chapel, the Royal Apartments, the Hall of Mirrors, the Queen’s Apartments and the Hall of the Battles. Your licensed guide will have the reservation he has bought prior to your visit, so you will not have to wait in the long queues! (He will enter with you through a special entrance to start the visit). After visiting the castle, your guide will take you for a stroll through the gardens before driving through the beautiful village of Giverny situated at the gates of the Normandy region. Upon your arrival, you will be given an introduction by your private guide to the life of Claude Monet. 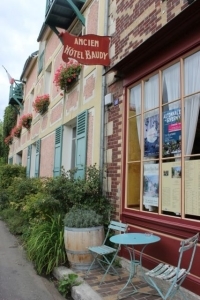 It is now time to have a wonderful lunch (not included) on the terrace of the famous Hotel Baudy in Giverny. 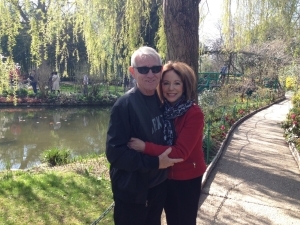 It is a place charged with history, located right in the centre of the village of Giverny where you will be amazed by its Ancient Rose Garden. At the end of the 19th century, Giverny became the capital of Impressionism when a big colony of burgeoning Impressionist artists, mainly Americans (Willard Metcalf, Louis Ritter, Wendel…) settled there to work. They were inspired by the landscapes, the overall atmosphere, and the presence of Monet. Even nowadays, the Hotel Baudy is still a famous meeting place for Americans ! Enter with your guide through a special entrance without queuing. He will give you the tickets we have bought prior to your visit. Claude Monet lived in his home at Giverny for forty-three years, from 8831 to 1926. In 1890 he became the owner of the house and gardens, and transformed them completely. You will follow your experienced guide, first for a visit of the water garden with its famous Japanese Bridge and water-lily ponds covered with wisterias before discovering the flower garden in front of the house called the Clos Normand. This garden is incredibly beautiful between April and October (the various flowers are blooming successively, so that the garden changes gradually with the seasons whilst maintaining its colours and brightness). Enter with your guide inside the house and discover the first studio of Claude Monet, his bedroom, the dining room, the kitchen and his fabulous collection of Japanese engravings. 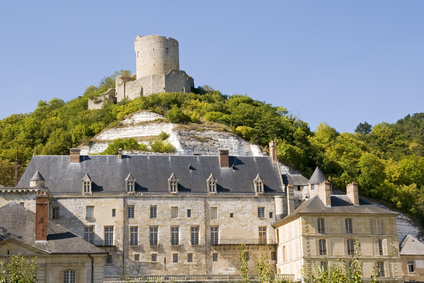 After a stroll through the wonderful gift shop (Claude Monet’s oldest studio), enjoy the scenery whilst driving on the countryside road along the Seine Valley to reach La Roche-Guyon and its castle, elected by the French as one of the most beautiful villages in France ! After a last-photo stop of this very colourful day, you will be dropped off at your hotel. Tickets to Versailles and Giverny are not included.